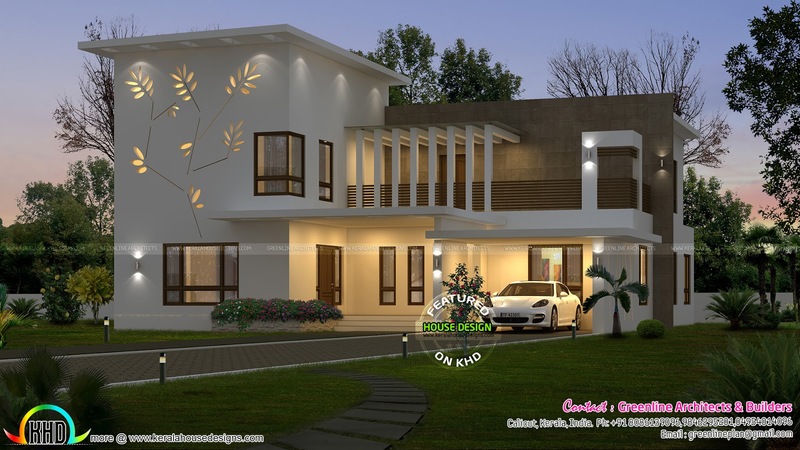 3250 Square Feet (152 Square Meter) (361 Square Yards) simple contemporary style house with decorative tree design in the front elevation wall. Design provided by Greenline Architects & Builders, Calicut, Kerala. 0 comments on "Decorative tree wall home design"